Spring has sprung along the banks of South Boulder Creek near Eldorado Springs on a stunning May morning. 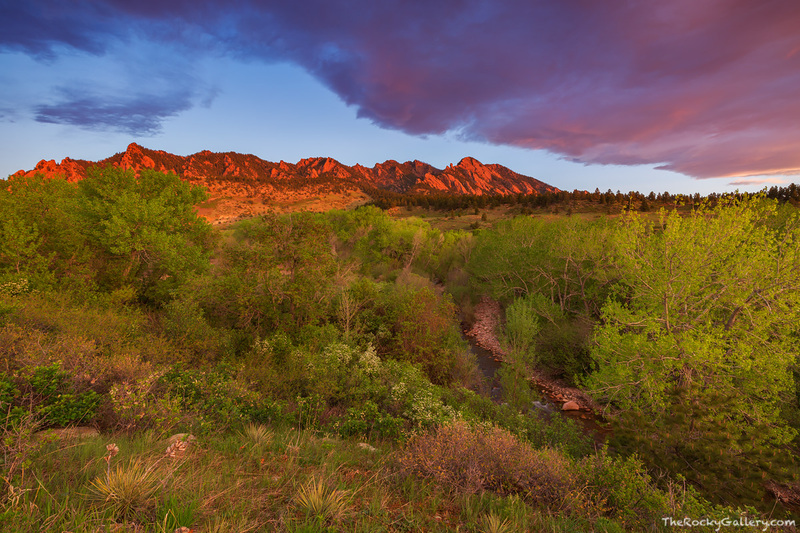 Vibrant green trees line the sides of a bubbling South Boulder Creek as the first rays of sun illuminate the Flatirons of Boulder, Colorado. Photo © copyright by Thomas Mangan.